shiteatersubs presents Dr. Slump & Arale-chan episode 072 in Japanese with English subtitles. Thanks to Ken Agatsuma for his wonderful translation. Special thanks to KyleD, his donation for the translated script made this episode possible. P.S. : Nanto worked extra hard on this one, hats off to him! Senbei is so happy to have a date with a world famous celebrity and the rumor spreads all over the village. Everyone excitedly prepares for the celebrity’s arrival, unaware that the celebrity in question is really the evil Dr. Mashirito. – This is the conclusion to the “Dr. Mashirito’s Ambition” arc covered in the manga vol. 6, ch. 4-5. The next two episodes focus on the “Penguin Village Wars” arc, which is notable because that means the tv series skips the “Penguin Village Grand Prix” and presents Caramelman #3 before Caramelman #2! 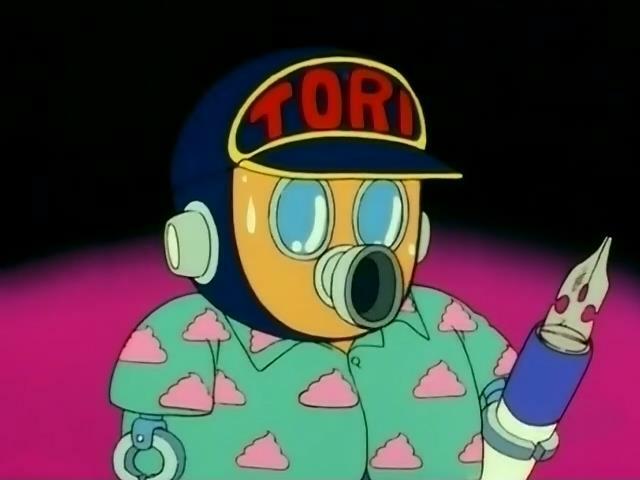 In fact, when we finally get to the Grand Prix arc at episode 80, you’ll see that the writers have decided not to mention that he is Caramelman #2 at all. – We would like to thank KyleD once again for his donation to get these episodes translated. We’re so glad we’re able to come this far. Thanks so much! Hey, long time fan, just wondering: Do you currently have plans to sub the 1997 Dr. Slump series after this one is finished? Maybe not by us, but damn, somebody else might do it. Don’t give up hope, true believers! We don’t hold the place holder on subbing new slump, so anyone who can translate Japanese or German and wants to do it can. And sorry for not answering your question sooner and directly, Logan Clow. No, we don’t have plans but we did at one time so we have German subs for episodes 3-4 to be translated and English subs from German for episode 5, we may do those eventually or share them with someone willing to use them. Also, I’d like to say thanks to everyone for your continued support. I don’t say it enough but truly, thank you. So happy everytime a new one is released !!! 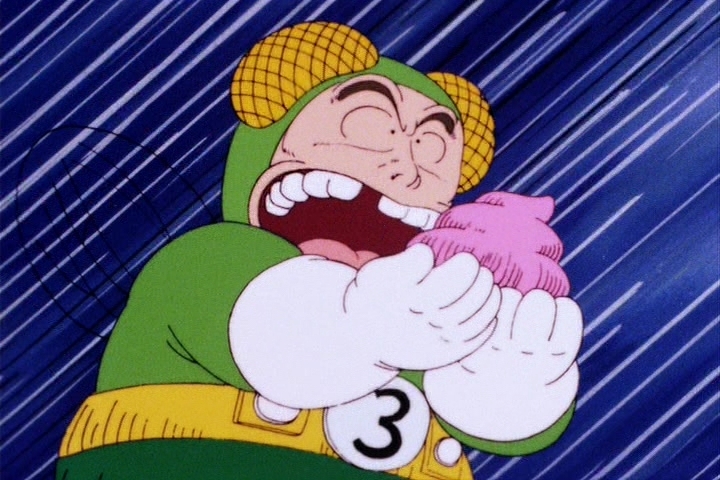 Thanks for all your work subbing Dr. Slump! thank you guys for this work! Subtítulos en español, con algunos errores.